Nick Fortugno is a game designer and entrepreneur of digital and real-world games based in New York City, and a founder of Playmatics (www.playmatics.com), a game development company. Playmatics has created a variety of digital and real-world games for organization including Red Bull, AMC (such as the CableFAX award winning Breaking Bad: The Interrogation), Disney, American Museum of Natural History, the Corporation of Public Broadcasting, the Federal Reserve Bank of New York, and the Red Cross/Red Crescent. For the past ten years, Fortugno has been a designer, writer and project manager on dozens of commercial and serious games, and served as lead designer on the downloadable blockbuster Diner Dash and the award-winning serious game Ayiti: The Cost of Life. Nick is also a co-founder of the Come Out and Play street games festival (www.comeoutandplay.org) hosted in New York City and Amsterdam since 2006, and co-creator of the Big Urban Game for Minneapolis/St. Paul in 2003. 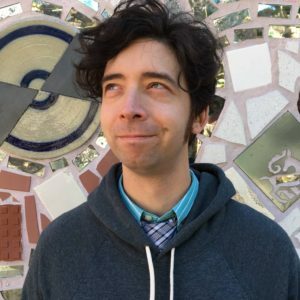 Nick has taught game design and interactive narrative design for 15 years at institutions such as Columbia University and the Parsons School of Design, and has participated in the construction of game design and immersive storytelling curriculum. Some of Nick’s writing about games can be found in the anthology Well-Played 1.0: Video Game, Value, and Meaning, published by ETC-Press.